Nowadays, there are many uses for videos. Sure, you may watch videos on TV or at the movies. But videos can also be very useful to businesses. You can create sales and marketing videos, post them on social media or use them as a part of your email marketing campaign. You can also create training videos which can be of great help to instructors who are training your staff to do something new. Just keep in mind that the main thing you need to do to create a good video is write a good script. Scripts should contain all the information that needs to be imparted in the video. Plus, it can also introduce an element of humor or lightheartedness to make the video more fun and less businesslike. So if you’re creating a corporate video, it can be helpful to have someone write a good script for it. How do you know if scripts are any good? Most people can tell when something is well-written, even if they don’t have the skills to write well themselves. A good script is usually cohesive. It flows naturally from one part of the script to the other. It doesn’t snap the audience out of the mood. This is true of both, sales and marketing videos as well as instructional videos. Another aspect of a good script is that it has interesting characters. 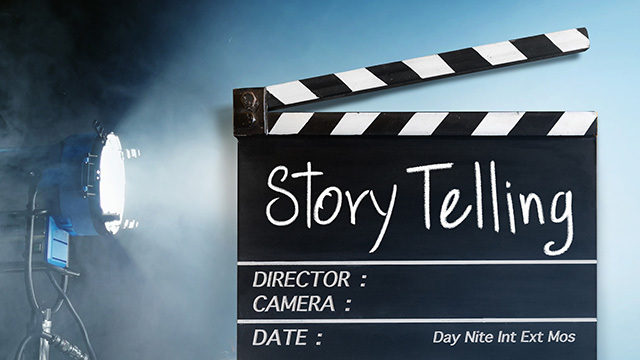 Even if your character is only on for a few seconds, as in a marketing video, they should still have a story to tell. In general, the story revolves around how the character’s life was not going well but they overcame it in some way by using your product. But the story should be realistic and relatable rather than making over-the-top claims which don’t make sense. A good script can take the dullest material and make it interesting. If you’re trying to teach your employees how to use a new software, for example, you can interject little harmless jokes in-between lessons. Or you can use mnemonics or jingles to help them remember what they’re supposed to do. Keep in mind that a good script entertains at the same time that it informs. Contact us to learn more about how to write a good script.